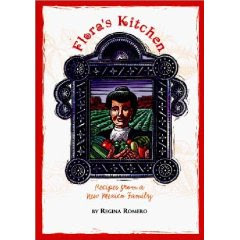 My mother in law wrote a New Mexico family cookbook called Flora's Kitchen. I make many of the recipes inside this wonderful book. I can't wait until my daughter make these delicious recipes for her family. Thank you Grandma "Mero". You need to make red chili 1st. You'll need a bag of dried red chili. Take pods out of bag, and place in large bowl. Add warm water, and soak until soft. The pods will float to the top, so place a heavy lid on top to keep pods submerged in the water. It will look like this after a few hours. Next you will need to remove pod tops, and most of the seeds inside. I do this by tearing off tops, and running under water. Afterwards place pods into your blender. Add peeled clove garlic (about 4), 1/2 tbsp salt, and a can of chicken broth. Blend until smooth. Add more chicken broth if it is too thick. Sauce will look like this when done. To assemble your enchiladas you will need the following ingredients: corn tortillas, shredded longhorn cheese, shredded chicken, sliced black olives, chopped white onion (or green onion), and your homemade red chili sauce. Start by 1st lining pan with sauce. Hand tear your corn tortillas to cover bottom of pan. Add 1st layer of shredded chicken, layer on cheese, onion, olives, and then sauce. Begin next layer with shredded corn tortillas then repeat steps over, and over again until pan is completely full. The top layer should always be cheese, sauce, and olives. Bake at 345 degrees for 1 hour. Check periodically for browning. If cheese is getting to brown cover with foil. Additional note: Shredded chicken is easy to make. I usually buy a whole chicken and boil in water. (I usually use the chicken broth to prepare my sauce with). Once chicken is cooked, and cooled. Remove skin, and fat. Shred the meat. Season with salt, and pepper. I usually prepare the sauce, and shredded chicken in advance, and freeze in batches. This way half the work is done. This dish is delicious, and worth all the hard work. Your friends, and family will love it!